Dr. Denis Mukwege is the founder and director of Panzi Hospital in Bukavu, the capital of South Kivu in the Democratic Republic of Congo. In 2011, he was awarded the King Baudouin African Development Prize, an initiative of our Brussels-based parent foundation, for restoring dignity to tens of thousands of survivors of sexual violence, and for his tireless efforts to bring back peace to eastern Congo. U.S. donors can support Denis Mukwege’s work through a contribution to the ‘Dr. 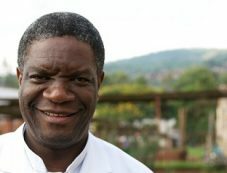 Denis Mukwege – Panzi Hospital Fund’ at the King Baudouin Foundation. The fund was established by Mukwege to gather support for the medical and psychological care of survivors of sexual violence in Congo, and for efforts to facilitate their reintegration into society.